Stunning, 1,255-acre Tuna Canyon Park in the western Santa Monica Mountains above Pacific Coast Highway in Malibu parallels more than two miles of the Pacific Ocean, and provides dramatic, 360-degree views of the San Gabriel mountains to the Santa Monica Bay. 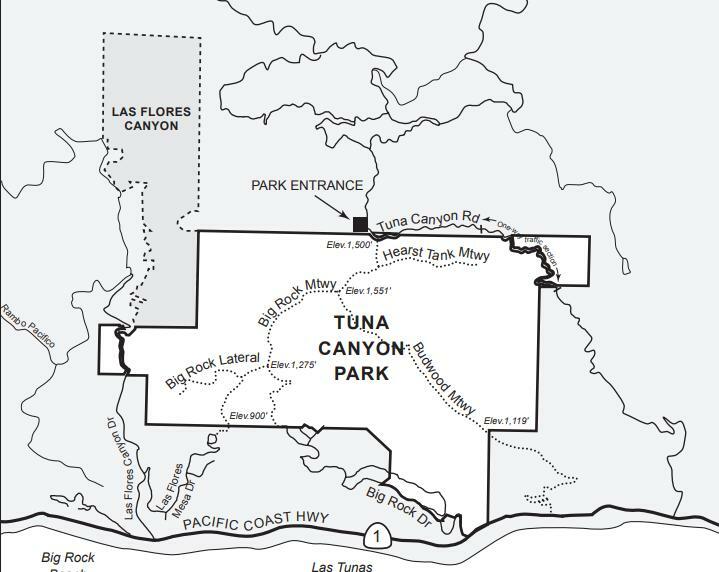 Tuna Canyon Park links over 18,000 acres of contiguous protected open space from Topanga State Park west to Las Flores Canyon. More than half of the property lies within Los Angeles County Significant Ecological Area Number 10. Deep canyons and ridges support a rich mosaic of coastal Southern California plant communities including sycamore riparian woodland, coastal sage scrub and native grasslands. Tuna Creek, one of the most pristine aquatic habitats in the Santa Monica Mountains, courses through the eastern end of the property to the ocean.